The search for a new police chief has begun in earnest, Peel Region Chair Nando Iannicca announced at Friday’s police board meeting. 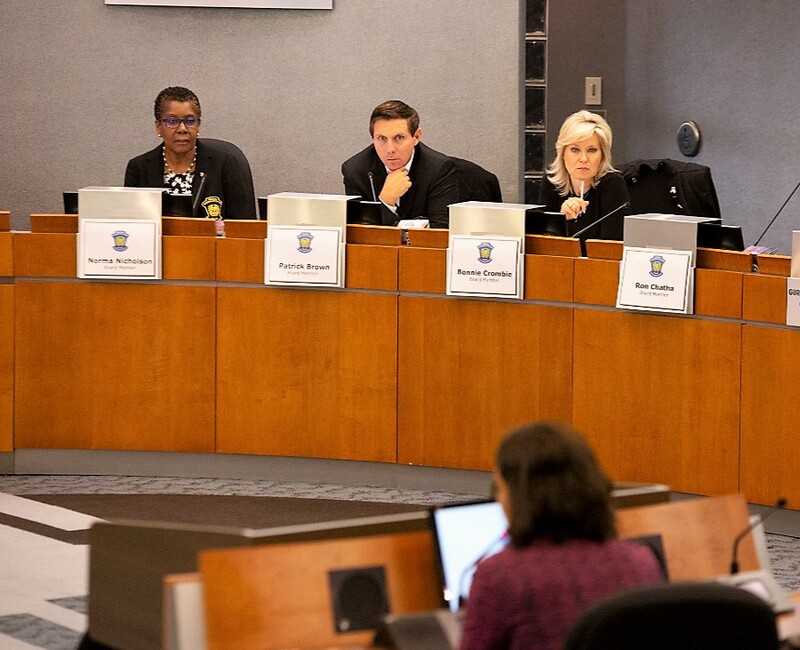 The board has engaged an executive search firm to help with finding a new chief to replace Jennifer Evans, who resigned in January, explained Peel Police Services Board executive director Robert Serpe. An online portal will be made available for the public to provide feedback. This news was fortuitous for a group of Sheridan College students who wanted to provide their own input. Last week, students of the Community Worker program crammed into a campus room to come up with talking points regarding what qualities they would like to see in the region’s next police chief. 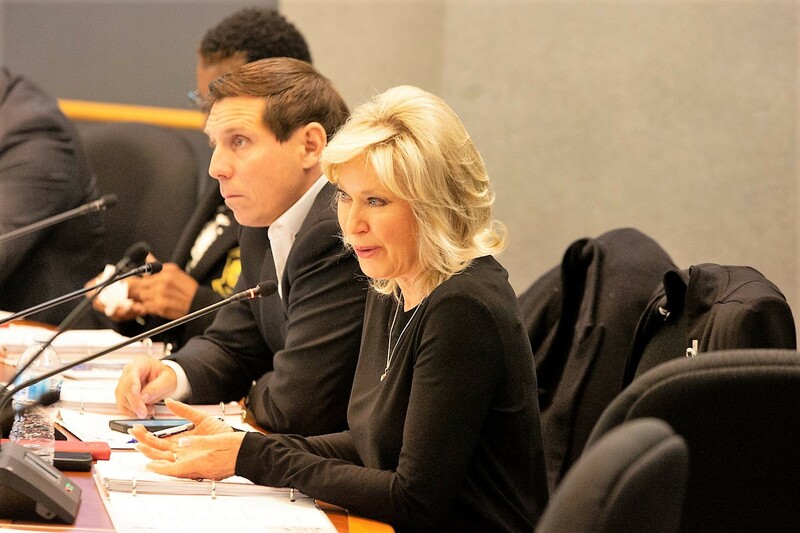 At Friday’s police board meeting, they made their voices heard before members, including the Brampton and Mississauga mayors. 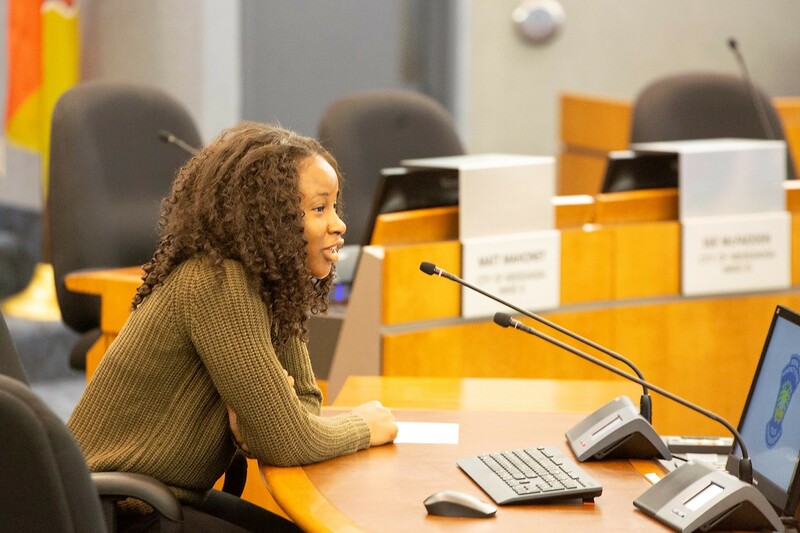 For their class capstone project, a requirement for graduation from the program, the students decided to request deputations with the police board, bringing up topics such as street harassment of minorities, street checks (“carding”) and the School Resource Officer program. “I’m talking to you today as a Black woman who has been randomly stopped by the police on numerous occasions,” Antwiwaa said as she began her deputation. An immigrant from Kumasi, Ghana, she described how her own run-ins with Peel police have left her feeling small. She related a story in which, she said, it was not about what the officer said, but rather how he spoke. “Yes, the thought of a 5-foot-5, huge 125 pounds may scare some of you, but I promise I am harmless,” she continued playfully. “I moved here from Ghana when I was 7 years old, not understanding much about race, feeling marginalized, or even the concept of racism. She said she did recognize the important role police play in the community, though some of her experiences had been negative. Abdiqan “Abdi” Dore, a Somali-Canadian student who once lived in Toronto’s Lawrence Heights neighbourhood, may have had more negative experiences with police than anyone else in the class. Abdi spoke of not feeling safe in his old neighbourhood, referred to by locals as The Jungle, where he often had negative encounters with the police. “I was stopped by police a while ago in my old neighbourhood. When I was with my sister, I was stopped for no reason. I was a little kid; I was unaware of what was going on … Then my sister started screaming at them,” Abdi told The Pointer. 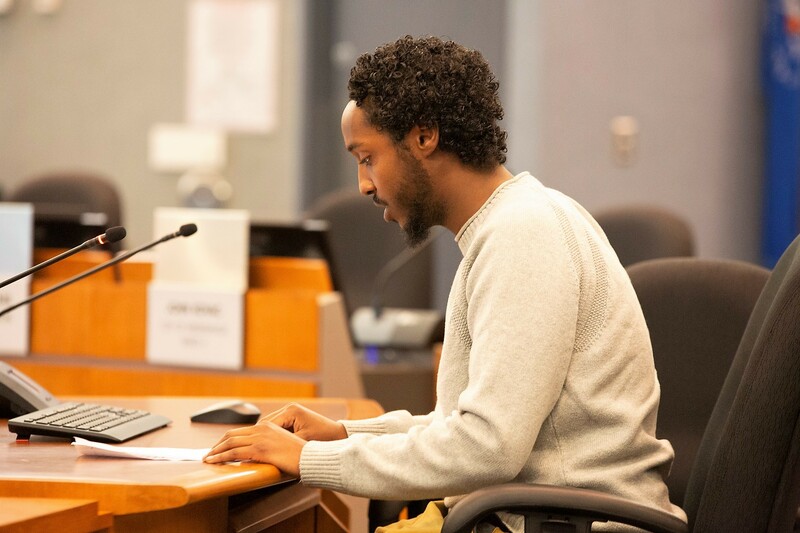 Abdi focused his deputation on street checks, colloquially known as “carding,” the police action of stopping a person and collecting personal information without a proper investigative reason. Peel Police statistics have shown that Black residents of Peel were disproportionately targeted by police during the heyday of carding, which was curtailed by the province in 2016. Both Dore and Antwiwaa contended that they had been stopped by police without a good reason despite regulations that were meant to severely limit the circumstances under which police can demand personal details from people on the street. A report came forward in the same meeting stating that in 2018 only two individuals were asked to give their information to police officers under the street check policies. If Dore’s report is accurate, it suggests police have been informally performing far more checks than they report. Encounters like these shine a light on a knowledge gap at the heart of many negative police interactions. The equity report performed by the Canadian Centre for Diversity and Inclusion, whose release was delayed for months after its completion in spring 2018, speaks of a disconnect between the police and the community they are charged with keeping safe. Peel’s uniformed personnel are 80 percent white in a community that is 65 percent visible minorities. A lack of intercultural competence and unawareness of their own biases is likely to lead to issues with profiling and harassment. The focus of Alyssa Warnock’s deputation was just that: the need for a chief who truly belongs to the community and doesn’t just police it. 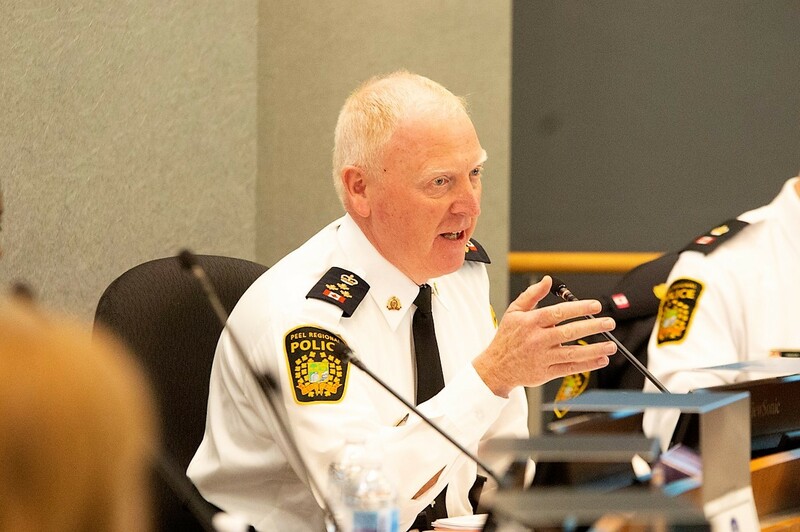 “Peel Region is well known for its diversity and the strength within our community, yet this strong, beautiful diversity is not being reflected within the Peel Regional Police and its leadership,” Warnock told the board. More tension surrounded a presentation by instructor Abigail Salole, who delivered her remarks on the School Resource Officer program, which places police officers inside high schools across Peel. Salole contended that studies unanimously conclude that resource officers present a negative force in schools. Acting Police Chief Chris McCord disagreed. “I feel like people are very attached to the SRO program because it’s been here for so long. He [the chief] suggested that this is something that they are very proud of,” Salole told The Pointer. McCord, seeking a compromise on the issue, said he would be open to meeting with Salole to talk more about her points. Ranjit Khatkur, co-founder of the group P-CARD, Peel Coalition Against Racialized Discrimination, also presented to the board Friday. She requested the board and McCord issue a public apology to the Black community and an acknowledgement of the harm done to many of its members after years of being targeted by the force in carding stops. The force’s own data, produced after the media had already obtained and reported it, showed Black individuals were stopped in carding encounters at more than three times the rate, compared to whites. She also asked that the force and board apologize to highly decorated officer Staff Sgt. Baljiwan (BJ) Sandhu, after a 2017 Human Rights Tribunal of Ontario ruling found he had been discriminated against by the force when he was denied the opportunity to compete for a promotion into the senior ranks, despite having more experience than many candidates who were allowed to vie for the promotion. Khatkur said Peel taxpayers ended up paying hundreds of thousands of dollars to defend the force’s actions, when it was clear the matter could have been handled internally. She said the recent equity audit offers further proof that the force isn’t interested in changing, but would rather defend its poor behaviour. 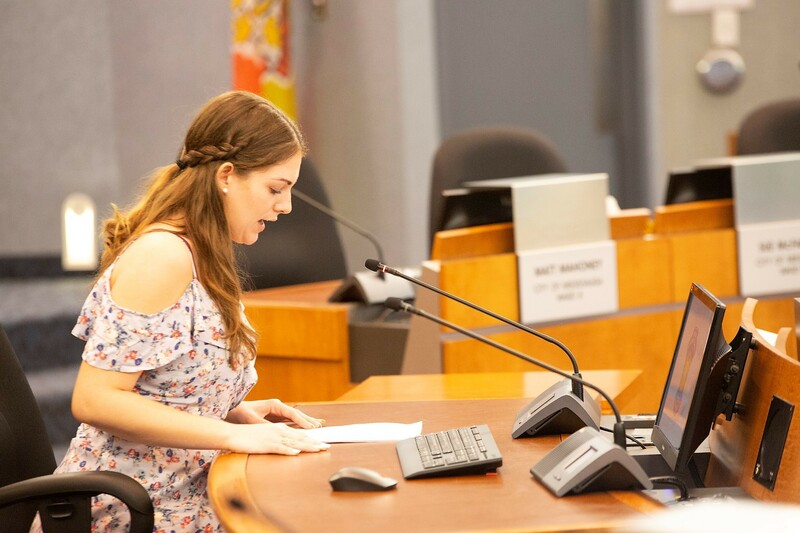 She called for an apology to the South Asian-Canadian community, as the rights tribunal found Sandhu was discriminated against because the force does not value policing in the South Asian community as it involves the South Asian population. 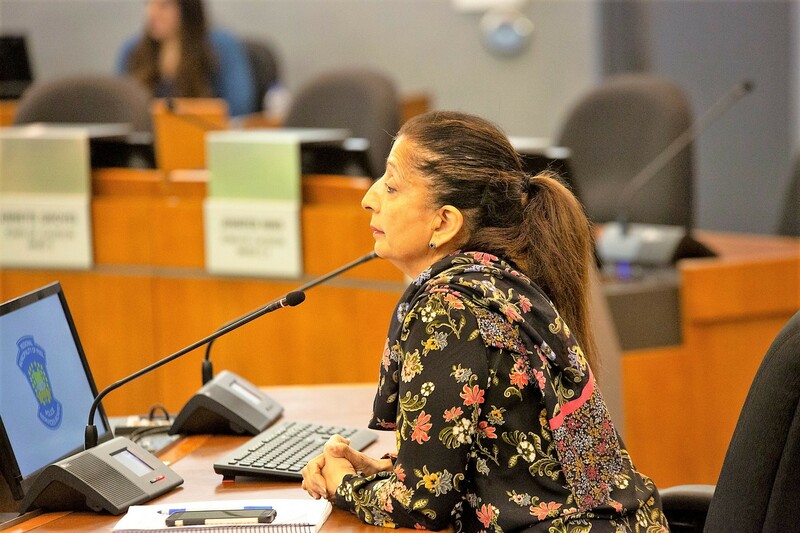 Khatkur’s presentation was received by the board, but it did not address her requests for formal apologies and acknowledgements.